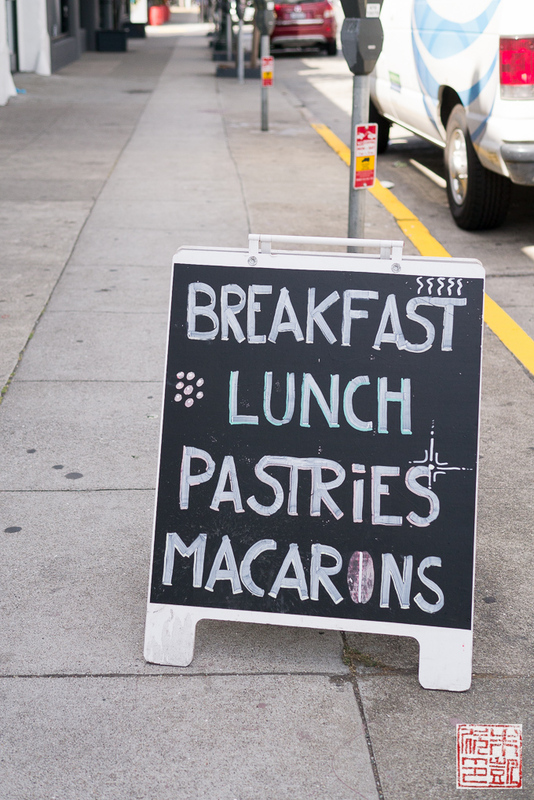 Although there’s a lot of focus in SF on pastry with modern, funky twists, I’m also very pleased to see there’s also been a quiet resurgence in classic French pastry as well. 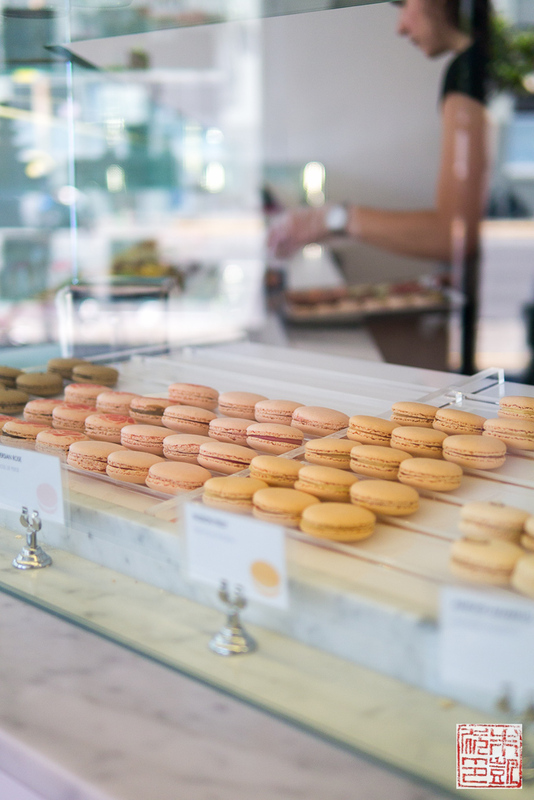 Case in point: Chantal Guillon, my favorite maker of macarons in San Francisco, who has expanded to three shops in the Bay Area, the last one a large café space offering traditional French pastries and desserts in addition to macarons. I’ve been meaning to visit the new shop in SOMA for a while; when Chantal and her staff extended an invite for me to visit the kitchen, I jumped at the chance! 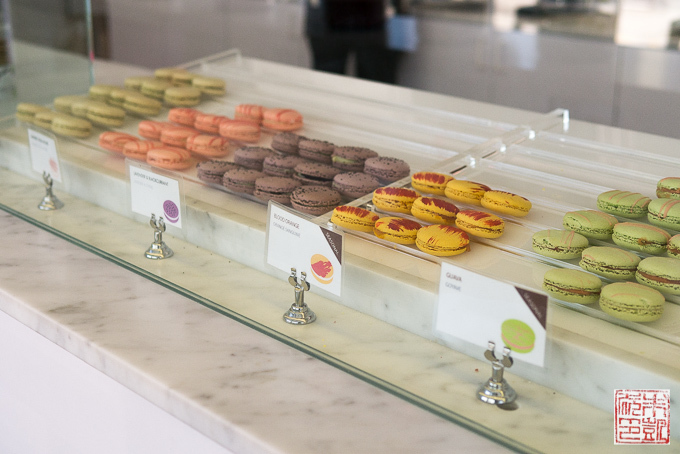 I first fell in love with Chantal’s macarons at her Hayes Valley shop, and then her Palo Alto outlet (click here for my visit to that shop). 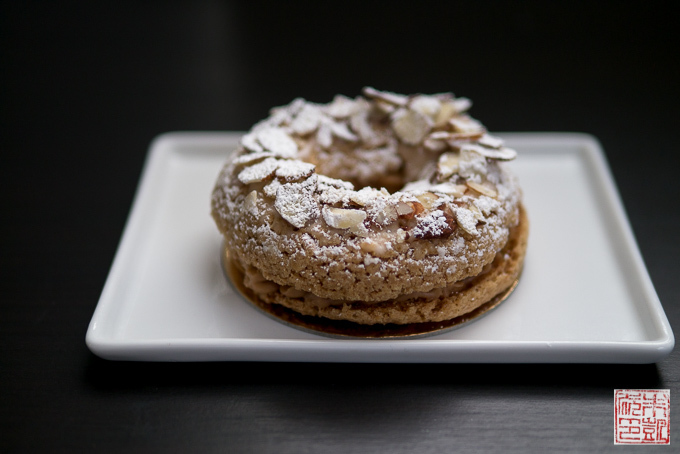 Her SOMA location is significantly larger and finally allows her to create the ideal French café-patisserie. 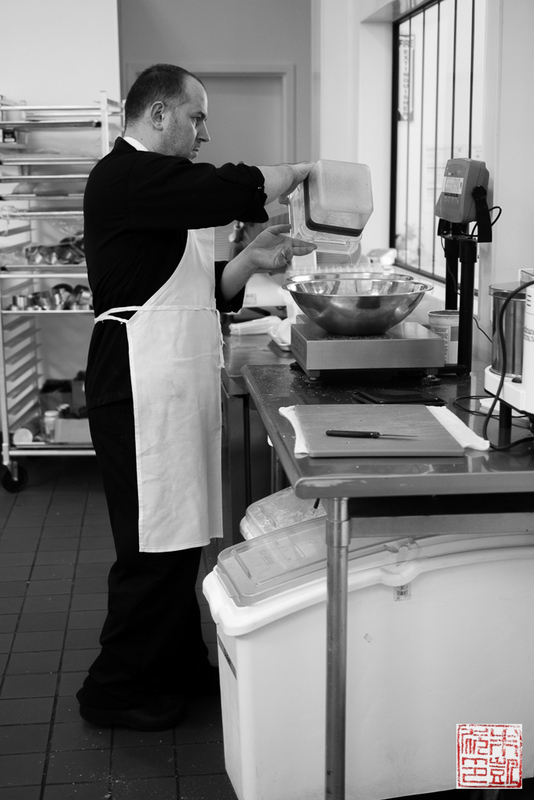 Additonally, she is very excited about her new pastry chef, Mickael, who joined on about a month ago. 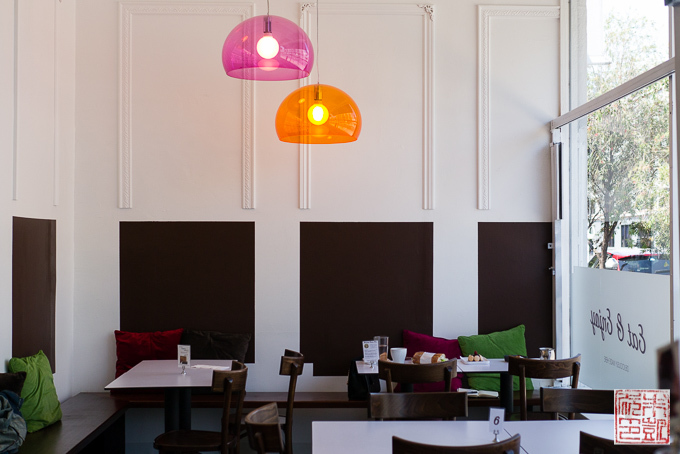 Chef Mickael worked in Paris and several other locations around the world before coming to San Francisco, and as Chantal explains, he is very in tune with her vision for the shop and is eager to expand their range of offerings. Wanting to ensure I got a good overview of the menu, the store staff plied me with a beautiful spread fit for a very fine pique-nique. If you have ever stepped in a bakery and wanted to try everything, I basically had that wish come true: from croissants to sandwiches to cakes to macarons, it was a delicious vision of gluttony. You’ll see more of the feast below. I was very impressed with everything Chef Mickael sent out and I only wished I somehow had the room to sample more! Or that I lived next door so I could have breakfast and lunch made by a French chef every day! 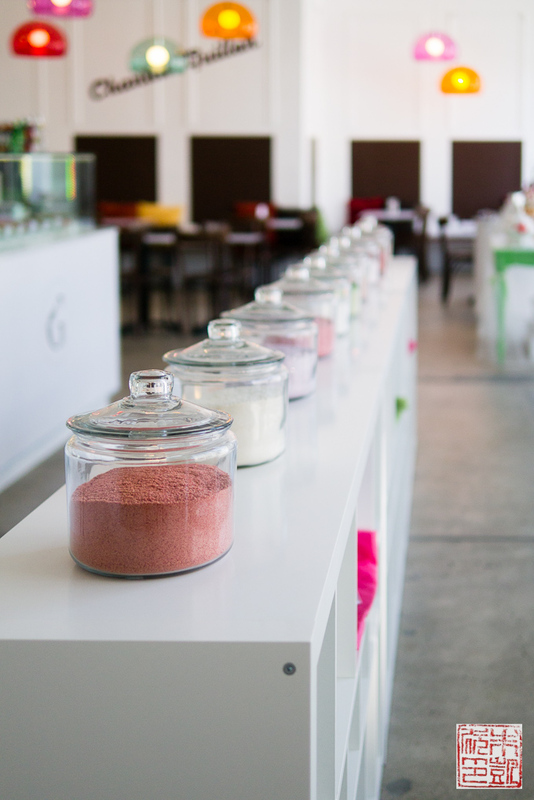 This shop is such a pleasure to all the senses: spacious, beautifully lit and filled with all things sweet. It was one of my most enjoyable photography experiences to date, and I had a hard time choosing which images to include in this post because I loved them all! I love the calm airiness of the space, and the cozy window seat. 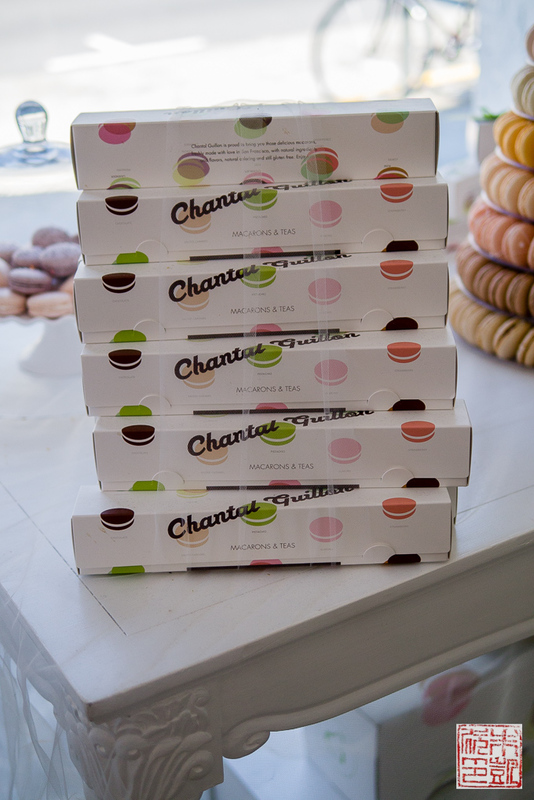 Chantal Guillon’s trademark macarons. They really are my favorites in the city – so refined and elegantly presented. The flavors from classics to seasonal limited edition flavors; my favorites are their lychee raspberry rose, almond amaretto, and passion fruit. 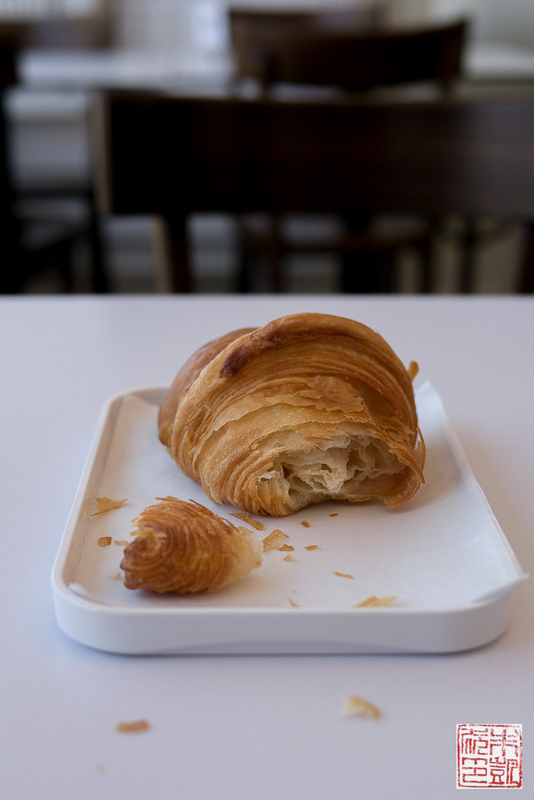 The SOMA shop is the first one to offer breakfast pastries like croissants and pain au chocolat (They also deliver them to their Hayes Valley shop). The croissant wars in San Francisco are fierce, and this one is a beauty, big and buttery and just the right mix of fluffy interior and flaky exterior. 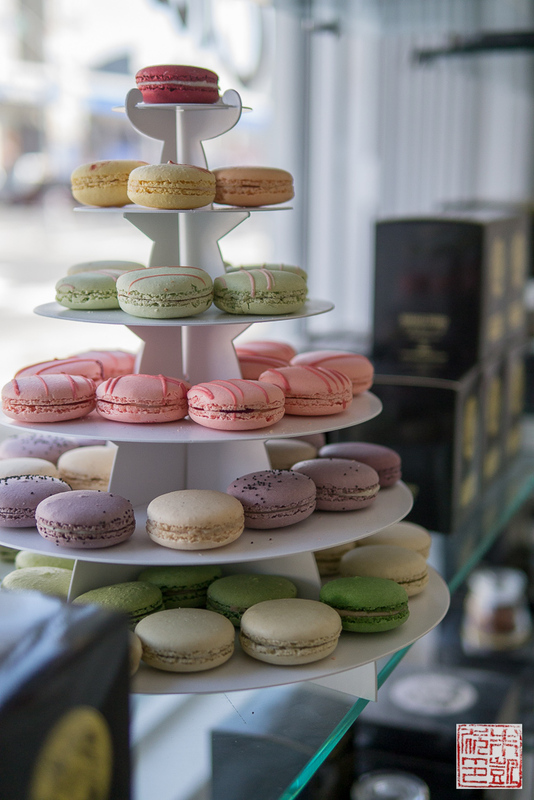 Mariage Frères Tea and macarons – what could be more perfectly Paris? Some of Chantal Guillon’s current macaron flavors include, clockwise: Hazelnut and Pecan Praline, Blood Orange, Guava, and Lemon Poppyseed (a new favorite of mine). 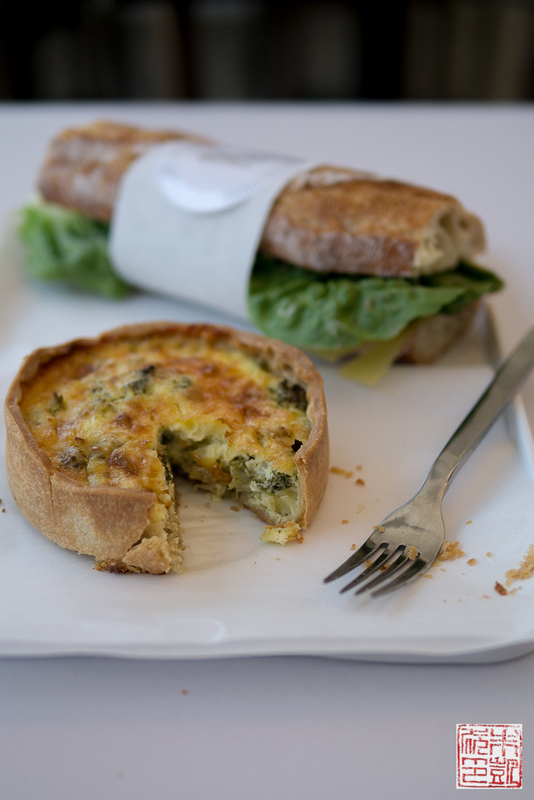 The SOMA location also serves French standards like quiche and baguettes for lunch. This fabulously flaky quiche was far and away the best I’ve had in a long time and made me envious of all the office workers nearby who get to come here for lunch every day! They also have a wonderful jambon beurre, that very French lunch-on-the-go staple: a baguette simply spread with butter and layered with ham. It took me right back to my student visits to Paris. 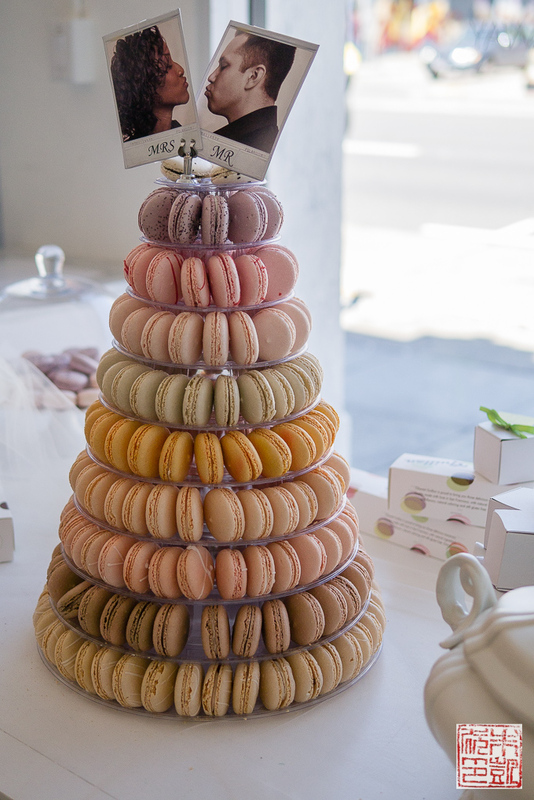 More of their macarons on display. 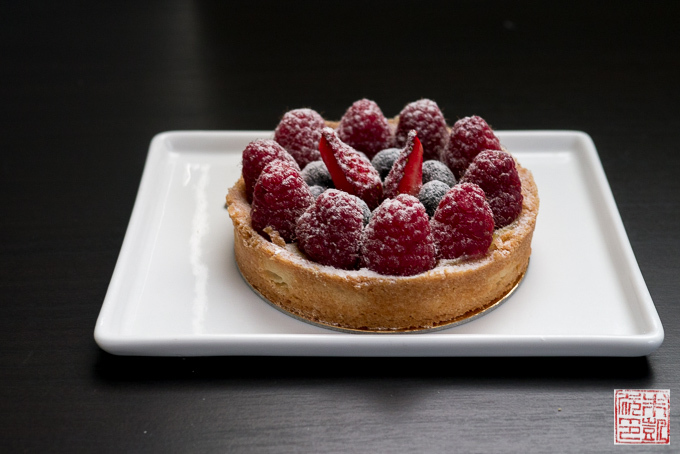 Chantal Guillon has also begun offering a selction of petits fours, those little jewel like tarts and cakes that fill the displays of all patisseries. I almost got tears in my eyes to see the Paris-Brest, one of my very favorite pastries (Alexandra told me it was her favorite as well), alongside photo-perfect chocolate mousse domes, fruit tarts, and mini cakes. Honestly, this was one of my easiest photoshoots ever because everything was already perfect looking! 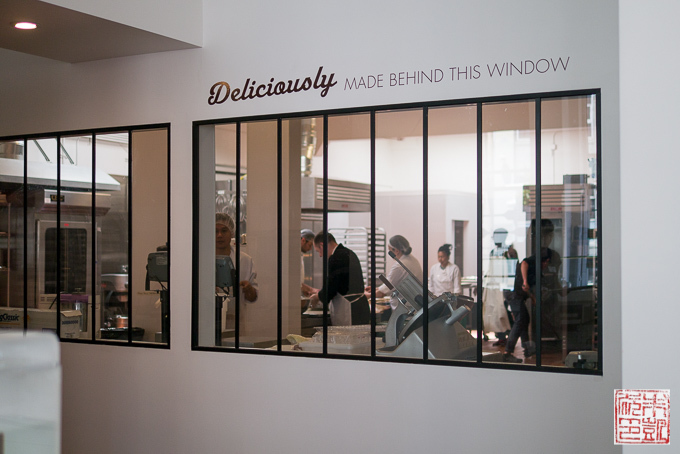 Another thing I love about the café are the windows in the back that let you see in the kitchen. 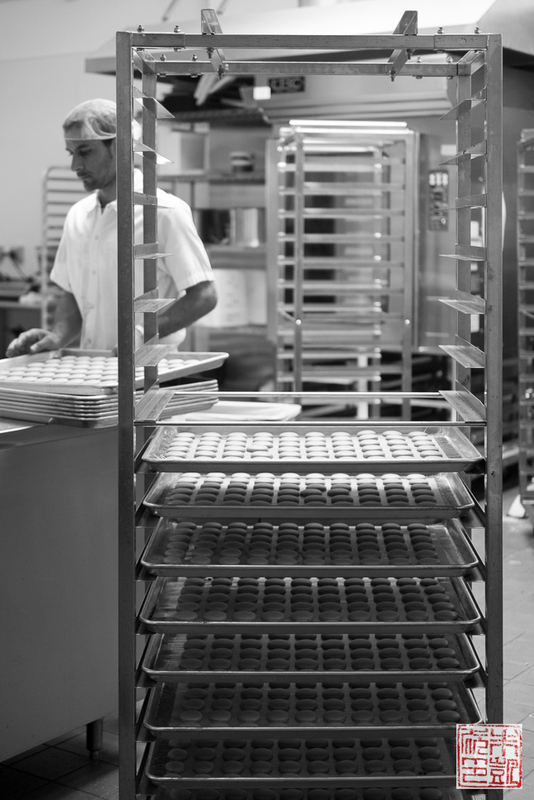 This is where all the pastry magic happens, and anyone can walk over and peek inside. 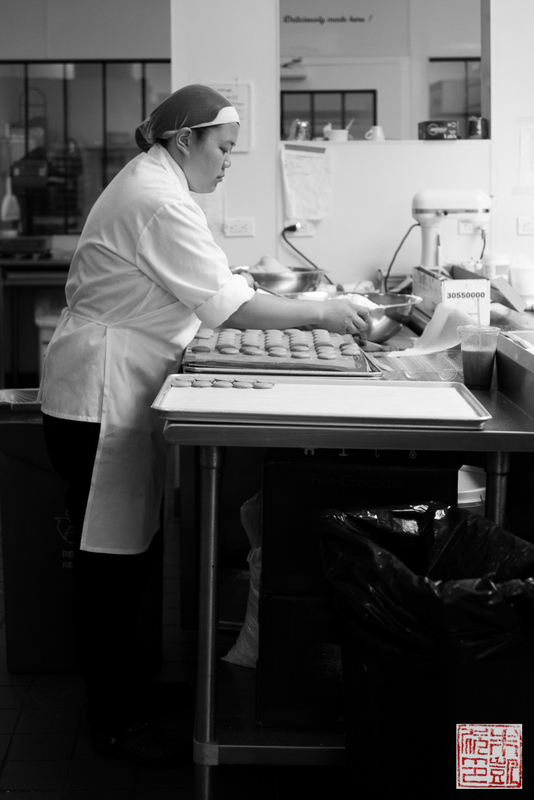 Chantal wanted her operation to be transparent to her customers, and it’s a wonderful reminder that all the gorgeous delicate pastries on display are all made several feet away by some very talented people. 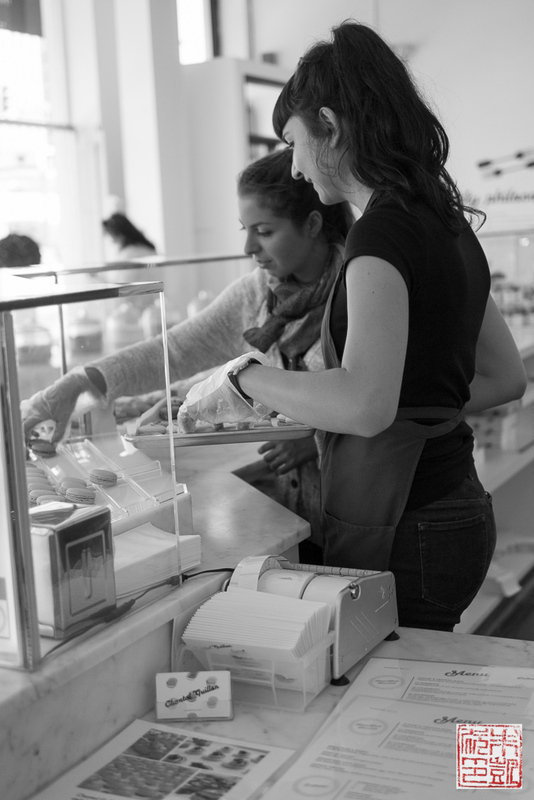 Here are some shots I took of the staff of Chantal Guillon, hard at work. Thanks to Chantal, Caroline, Alexandra, and Chef Mickael for allowing me to look inside the beautiful SOMA shop! 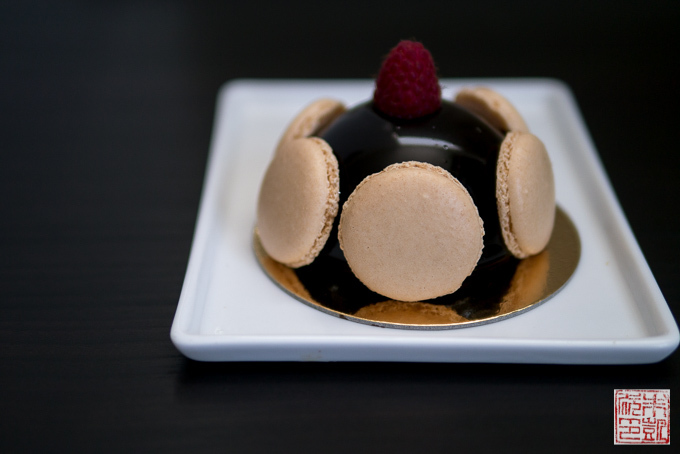 I will be back soon for sure for my French pastry fix! Eat Drink SF 2018 Is Almost Here! This place looks like such a treasure, and I can’t believe it’s so close to my ‘hood. Definitely checking it out sometime soon. 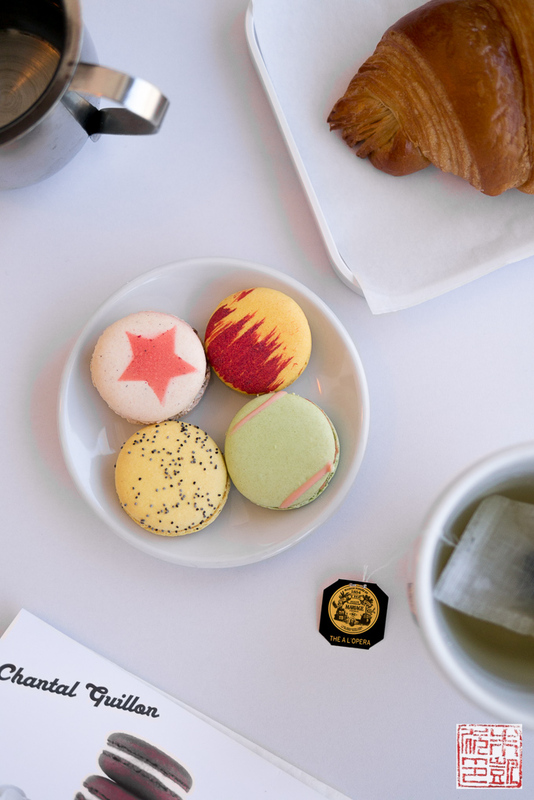 Mariage Frères tea is my favorite, and nothing pairs better with French macarons. 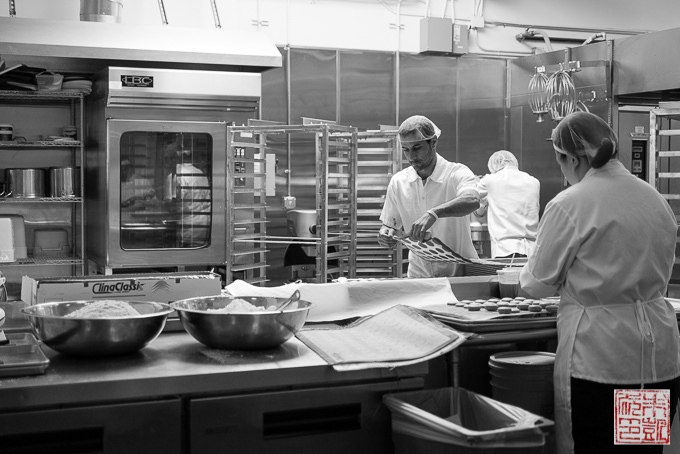 recently went to the palo alto location and loved it, though i’m a little sad that they didn’t have transparent bakery windows (i love watching bakers work!). their green tea jasmine macaron was so flavorful, and i can’t wait to try more of their flavors.